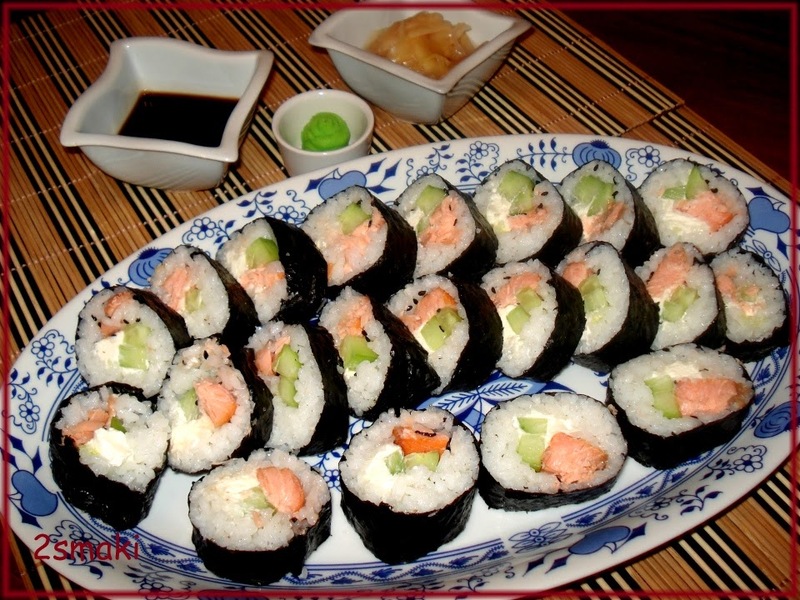 My husband wanted to make a California Maki and sushi roll as side dish for our New Year’s eve celebration we’ve already bought all the ingredients and what’s lacking is the rolling mat that’s used to shape the maki. We looked at the kitchen supplies in the grocery but none was found, we also tried looking at the kitchen wares department inside the department store and there’s also none. It’s really annoying to have all the ingredients bought but the rolling mat wasn’t there, and because of the holiday buzz the traffic was really painful, no one would dare go to another mall and look for the stupid rolling mat. We went home annoyed but I thought of something brilliant; how about making one? So I tried to look for possible materials, there are the barbeque sticks and some needle strings. I was pretty hyped about the idea and made it immediately, I'm not even halfway of my work when I realized that it’s going to be hard considering the materials I'm using. I hate using the needle strings because it breaks easily and I'm losing my patience but I had to finish it for the California rolls I’ve been craving. I did finish it, and it looks really ugly because the string lines are crooked but it will have to do for awhile.